The Lady Pirates go into Chapel Hill to knock off the Tar Heels. CHAPEL HILL – The Hampton women went into Chapel Hill and pulled off the unexpected, beating North Carolina 70-66 inside Carmichael Arena. 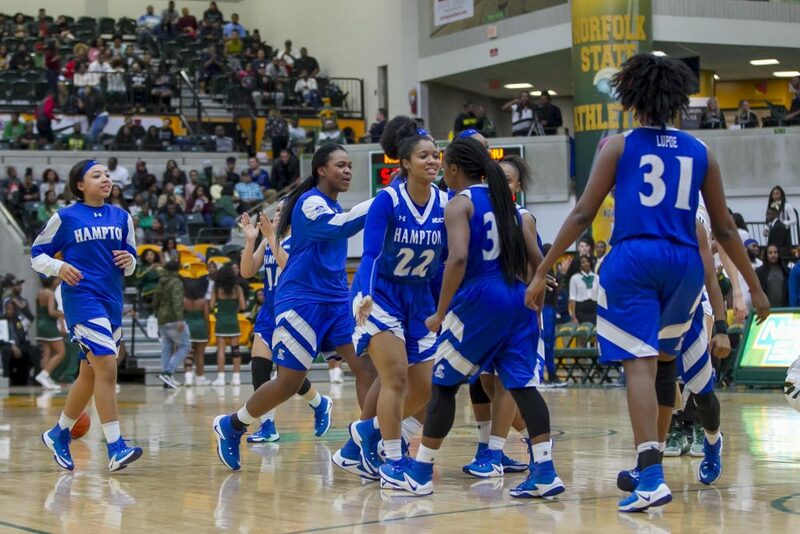 Hampton was led by Monnazjea Finney-Smith who scored a game-high 25 points. She hurt the Tarheels going 7-12 on three-pointers. While this was an upset by definition, it’s not the first time the Lady Pirates have beaten a power-conference team. Head coach David Six now has 11 victories over teams in the six power conferences over the course of the last nine years. The Lady Pirates were down by seven points with just over six minutes to go when they heated up from downtown. In the course of just over a minute, Hampton nailed three shots from behind the arc to take a 61-59 lead. Hampton started the game with the right tone, shooting over 50 percent in the first half and leading by as many as 10 points. Hampton held a 39-34 lead at the halftime break. Jephany Brown scored 16 points, Alina Starr had 11 and DeJane James tossed in 10 for the Lady Pirates.